Can rats swim? The question of whether our pet rats are able to swim and whether or not our pet rats like to swim are two different things entirely. Many people enjoy watching their pets go swimming. The internet is saturated with videos of dogs diving into pools or lakes, fetching toys in the ocean or swimming alongside rafts and boats. We know that certain breeds of dog absolutely love the water and, contrary to popular belief, we know that even some breeds of cat enjoy going for a dip now and then. But is there any evidence that exists to suggest our pet rats can go swimming? And furthermore, if they can swim, do they enjoy it? Sometimes it’s hard to tell what our pets like and what they are simply just tolerating. Because we love our pets, it’s important to learn the unique ways they communicate with us to let us know when they are happy, sad, afraid, in pain, or angry. Just like dogs and cats, rats will clearly tell us what they enjoy doing and what they are simply tolerating. And, they will clearly communicate what they hate. All we have to do is listen and pay attention. So, if you want to learn whether or not your rat can swim, and whether or not he likes to swim, keep reading! 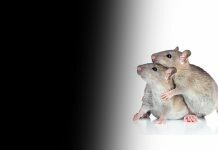 In this article, we are going to cover everything you need to know about rats and water, and how to know if you have a pet rat who likes to swim. According to McMaster University animal behavior expert Bennet G. Galef, brown and black rats learn to swim naturally early on in their life. Does that mean rats swim in their natural habitat? Absolutely! In their natural habitat, some species of rat find significant sources of food in water, and some rats have been found to swim for a mile or more. 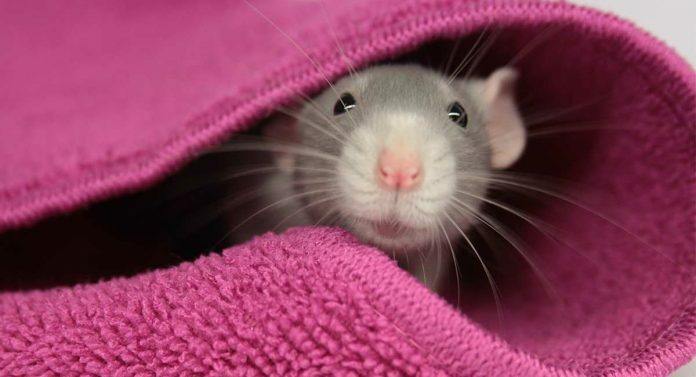 Other rats are able to tread water for up to three days! And anyone who knows a thing or two about rats has heard the rumors of wild city rats traveling through sewers and piping, making their way up toilets and sinks. Yes, the stories are true—city rats can invade your home through the plumbing! But do rats and water go hand-in-hand? Do rats swim? As we’ve just gathered, the answer is yes! But does that mean you should go grab your pet rat and bring him to the pool with you the next time you go for a dip? Now that we’ve answered the question “can rats swim?”, let’s find out whether or not they like to swim. 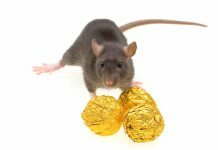 Since the majority of pet rats were domesticated from brown rats, and now that we now the brown rat is a swimmer in his natural habitat, chances are you could come across a pet rat that enjoys swimming. Still, we should keep in mind that, like people, rats have different personalities and while one rat may love the water, another rat may loathe it. On the other hand, some pet rats will enjoy playing in the water, but that doesn’t necessarily mean they will want to go swimming in it. A rat enjoying water play could mean offering him a dish with a bit of water in it that he can simply splash about in. Indulging in a bit of shallow water play does not always mean that your rat will love to swim, though. However, if you do have a pet rat who seems to be intrigued with the water, it is fine to offer him the chance to swim. If your rat has never been around a large amount of water before, it is best to introduce him to it slowly and gently. Like most things in life, if he has a positive experience with water off the bat, he will be more likely to learn to enjoy it! It’s important to remember that just because rats enjoy playing in water does not mean they will enjoy swimming in it. Studies have found that “forced swimming” can be extremely stressful to rats. Forced swimming would include placing your rat in a filled tub or pool where he can’t touch the bottom and must swim to find a way out. This is dangerous and can cause anxiety and stress in your pet rat. In severe cases, stress and forced swimming can even lead to drowning. Always allow your rat to venture into the water at his own pace and offer him a way out at once if necessary. You can try to get your pet rats swimming by introducing them to water slowly. Begin with a small bowl filled with a very small amount of water. Then, gently place your rat in the bowl and let him stand in the water, getting used to the sensation of it. Let him take his time and play around. Remember, he may be frightened, so take it slow. Once you see that he is calm, you can begin carefully dripping some water over him. If he seems to be enjoying himself, you may have a pet rat who likes to swim! You can gradually move up from the small bowl to a larger pan, then a sink. You will know pretty quickly if your pet rat likes to swim. Rats are pretty good at letting us know if they are having fun or not. If you aren’t sure what stress in a rat looks like, keep an eye out for signs of fear or distress such as a medium length, high-pitched squeal or freezing up, meaning your rat has gone stiff. Your rat may also give a sort of whine-like squeak, which is lower in pitch. This is a sign of frustration or displeasure. You should also be aware of phantom bites, which is when the rat lunges at you but only bites the air. This will often come after his squeaks of protest or fear have been ignored. This is a clear sign you have pushed your rat past his limit of tolerance and should just back off. If he squeals loudly or whines, stiffens up or gives you a phantom bite, then your rat is likely not a fan of the water and it would be best to remove him from it. So, do rats like to swim? The easy answer is that some rats have been known to swim for the fun of it, while others simply tolerate it. Then there are rats who will sincerely hate it. Basically, it is up to the individual rat and it’s up to you to understand what he is telling you. Amazingly, rats that swim can swim underwater and are even able to hold their breath for up to three minutes! Wild rats especially are excellent swimmers, as previously mentioned, and will dive for food or swim up pipes to get into homes. How Long Can A Rat Stay Underwater? As previously stated, rats are able to swim underwater. They can stay underwater for up to three minutes! However, even though rats are capable of swimming, not all of them enjoy it. Remember that forced swimming can stress your rat, and a stressed rat can easily drown. How Far Can A Rat Swim? Some species of rats are more talented at swimming than other species of rats. The brown rat, which we now know is the most commonly domesticated rat species, is one such rat who was made to swim naturally! Remarkably, and as previously mentioned, there are some rats who can swim up to a mile or more in open water. However, we do not recommend trying to get your pet rat to perform such a feat. How Long Can A Rat Tread Water? While not all rats enjoy the water or will want to go anywhere near it, there are others who swim as if they were born to be fish rather than rats! As we’ve stated, some rats can swim for up to a mile or more and have even been known to tread water for up to three days! Can Rats Swim In A Bathtub? If your pet rat enjoys swimming in a bowl, pan, or sink, then chances are he will enjoy swimming in the bathtub. However, remember that since forced swimming can stress your rat. You should always provide your pet rat a way out easily. Pet rats that swim will typically enjoy swimming in all kinds of environments. Just make sure you are there to supervise. Never place a rat into a tub of water unless you know he enjoys swimming. Also, be aware of the temperature of the water. The water should be lukewarm or room temperature—not freezing cold and certainly not too hot. Can Rats Swim In A Pool? Rats and swimming pools may seem like a daunting concept. Rats are so tiny and swimming pools are so huge! Still, just like with bathtubs, a rat that enjoys swimming will enjoy your pool! Despite what you may think, the chlorine in your pool won’t be harmful to your rat, and if he loves to swim he will love the open space to paddle away! Never leave unsupervised rats in swimming pools, however, despite how well you think they can swim. While lots of rats are naturally great swimmers, accidents can happen. What Happens If I Have A Pet Rat That Hates The Water But Needs A Bath? 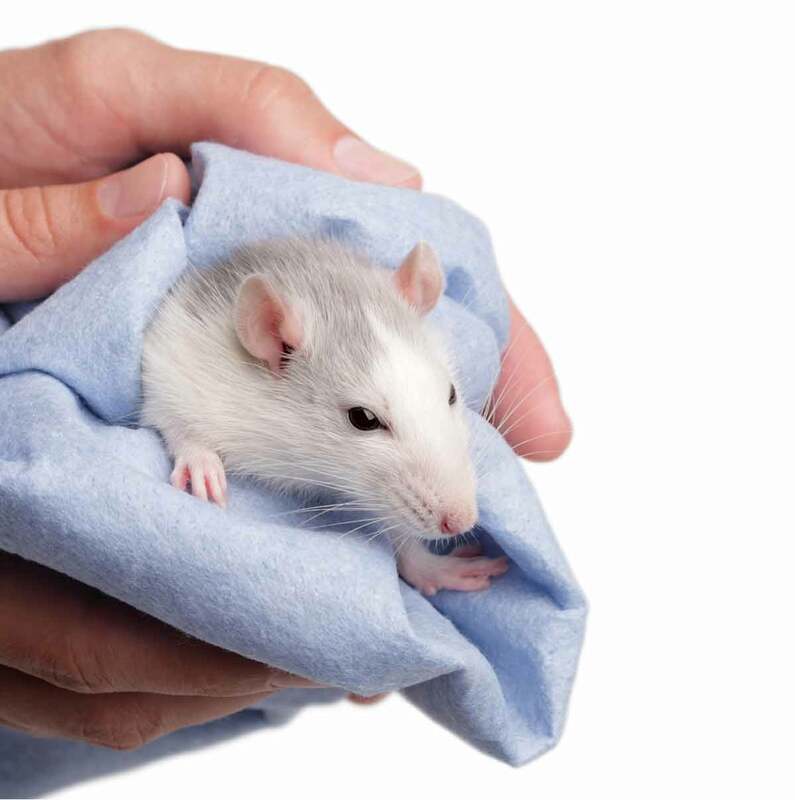 If you have a pet rat that hates the water, but he gets dirty and needs a bath, you can get a damp washcloth or some baby wipes and wipe him down. This should do the trick of cleaning your rat without causing him unnecessary stress. So, Rats and Water – What’s The Verdict? Can pet rats swim? Yes! Do rats like to swim? Sometimes they do, sometimes they don’t! Rat swimming seems to be something rats do naturally, but not all domesticated rats will enjoy it. The truth is, it will take patience as well as trial and error before you are able to determine whether or not you have a pet rat who enjoys the water. Remember, rats may be small, but they are intelligent, complex creatures with extraordinary emotional intellect. They can become stressed easily but also enjoy a good time. Pay attention to your rat, be patient and gentle with him when introducing him to the water, and chances are you’ll know exactly whether or not swimming is for him! Morris, R (1984). Development of a water-maze procedure for studying spatial learning in the rat. Journal of Neuroscience Methods, 11(1). Kregel, K. C. et al (2006). “Exercise protocols using rats and mice” in Resource Book for the Design of Animal Exercise Protocols, American Physiological Society, 35-58. Campbell, A. Rat behavior: Animal sentience, pain and emotion. The Scuttling Gourmet. Next articleCan Guinea Pigs Swim? Or Would They Rather Keep Their Paws On Dry Land? 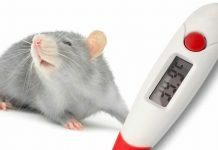 Sick Rat – Is My Rat Ill And What Should I Do?